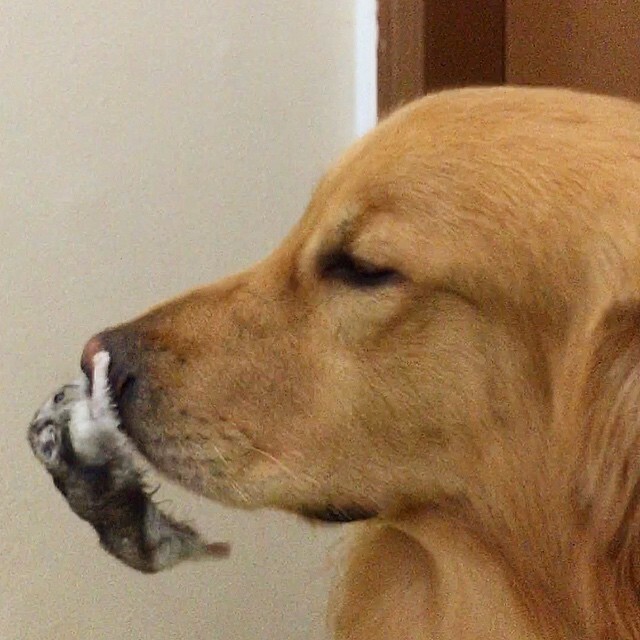 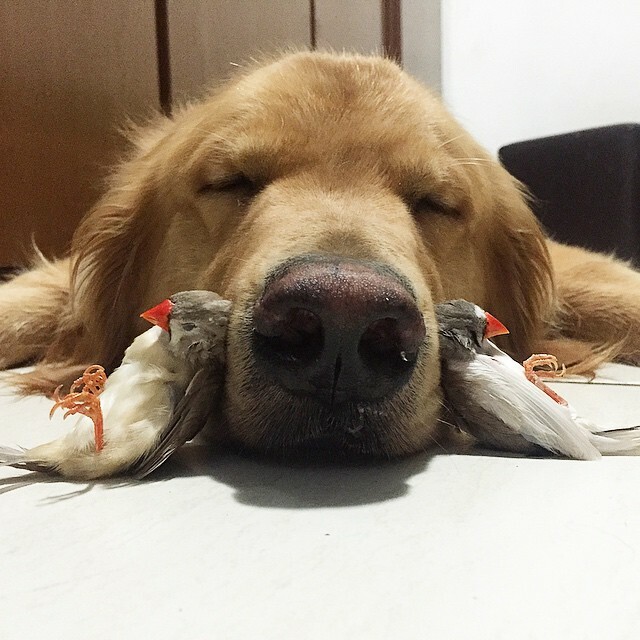 Bob the Golden Retriever is everything you expect in a goldie. 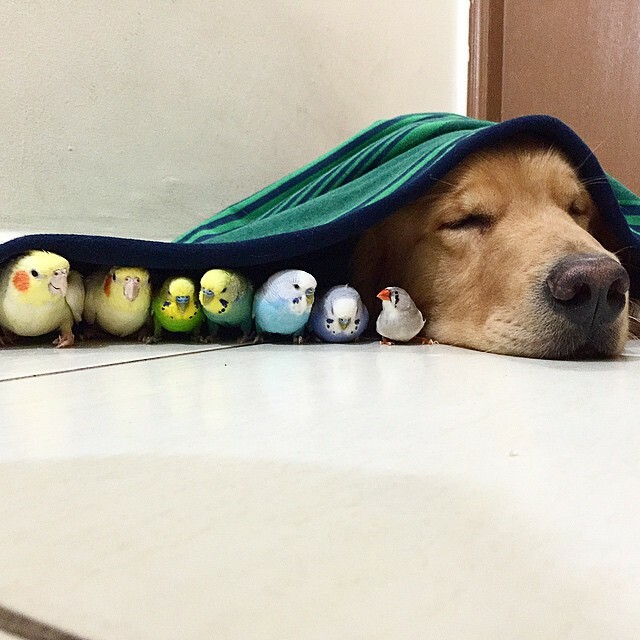 Friendly with people, calm, easy going and gentle. 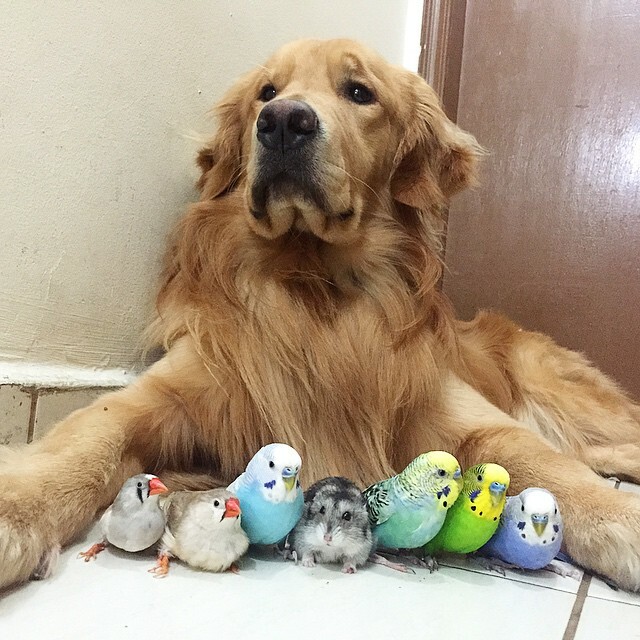 Just ask the hamster and 8 or so birds he lives with. 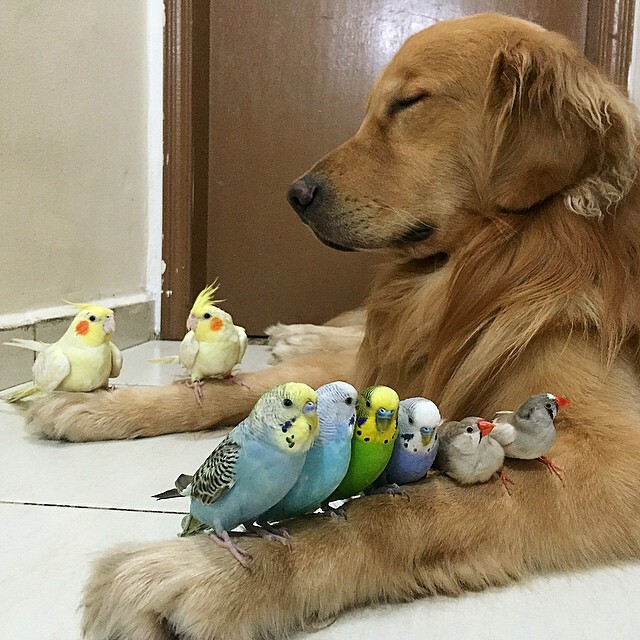 They love him! 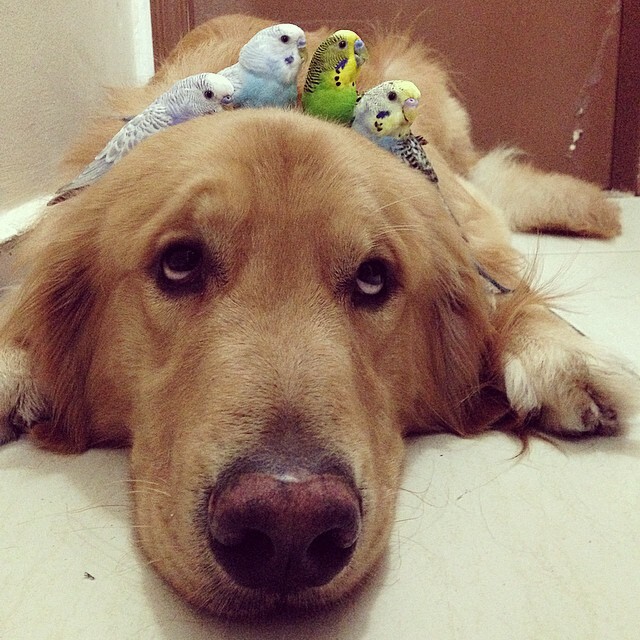 They regularly perch on him, or cuddle next to him for a nap. 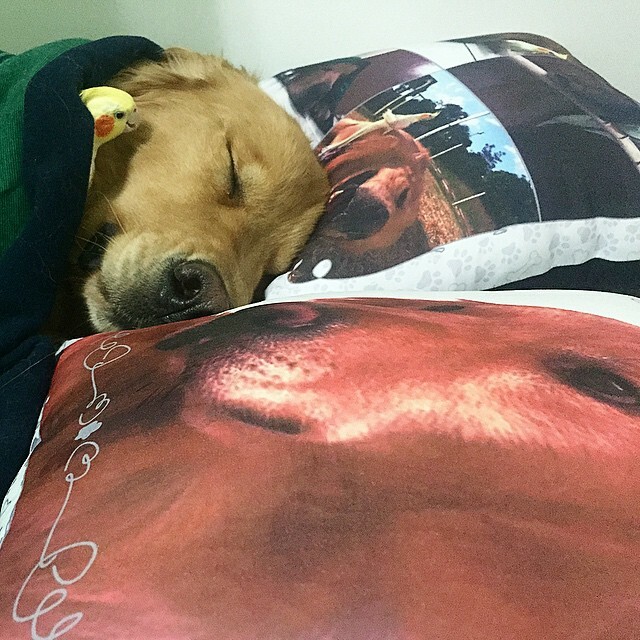 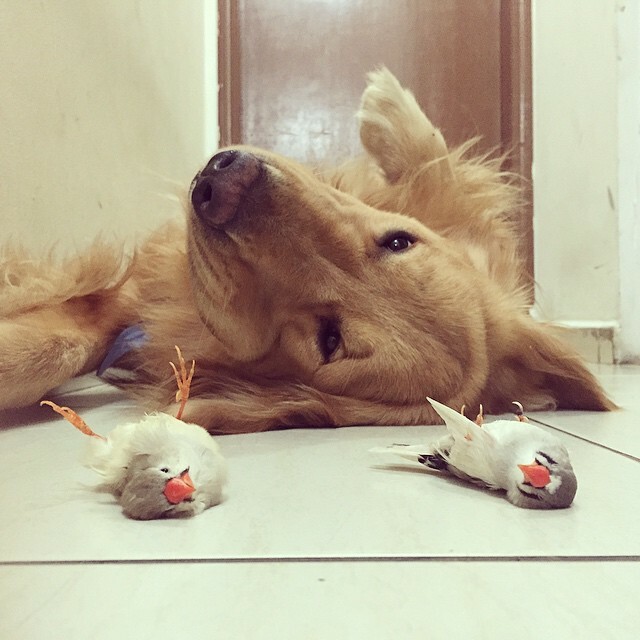 Bob lives in São Paulo, Brazil with his family and their human regularly shares their adorableness on Instagram. 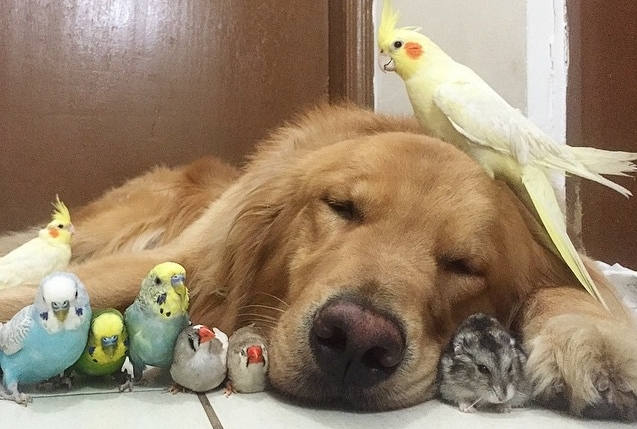 It is sometimes challenging to keep the peace and harmony between pets of the same species, much less different types of animals. 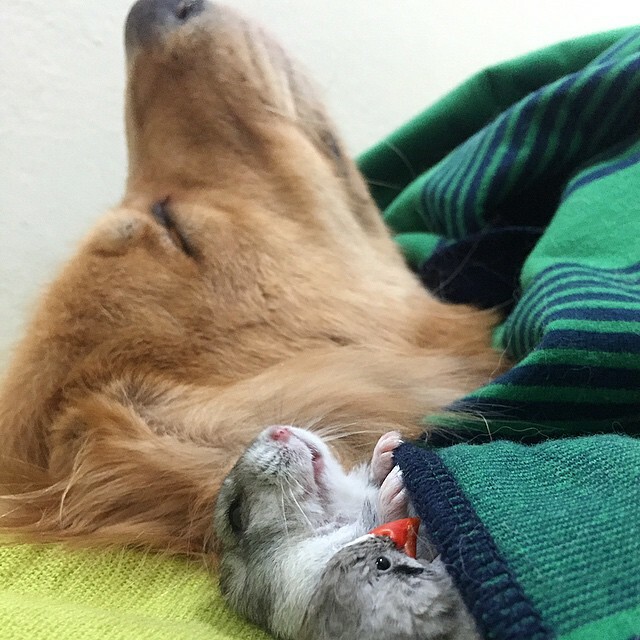 But that doesn’t stop some animal lovers from having more than one kind of pet in the home. 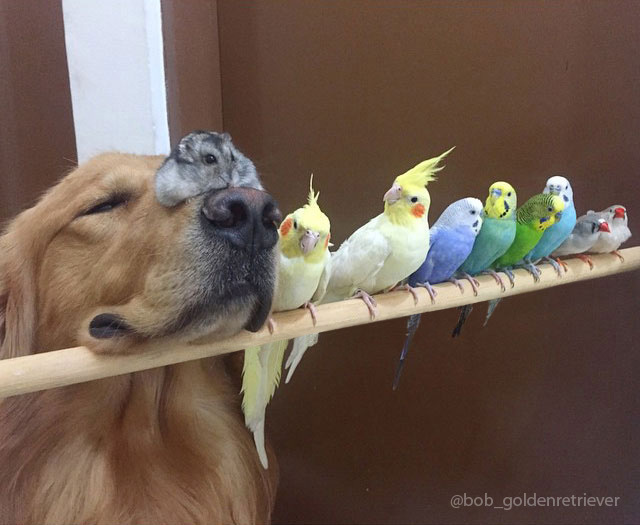 Bob’s owner not only has the magnificent golden retriever, he also keeps a few different species of pet birds, as well as a roly-poly hamster. 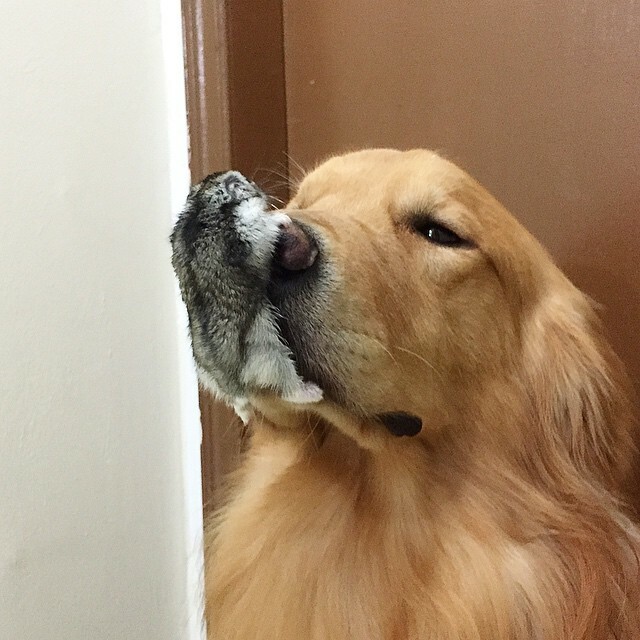 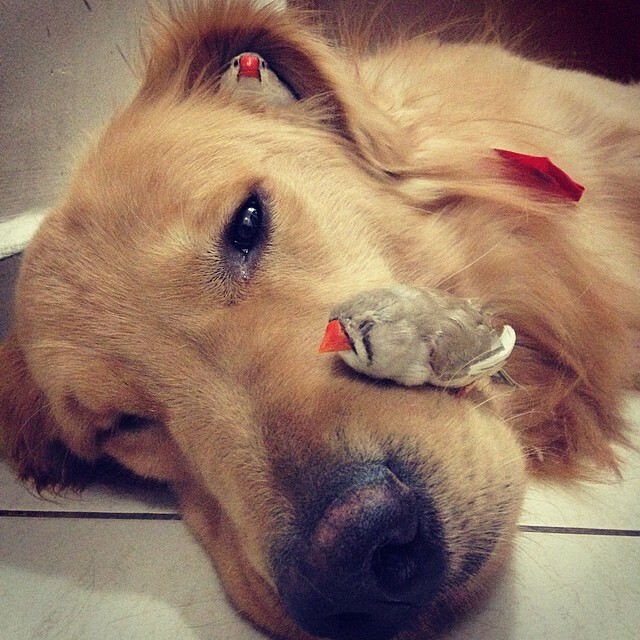 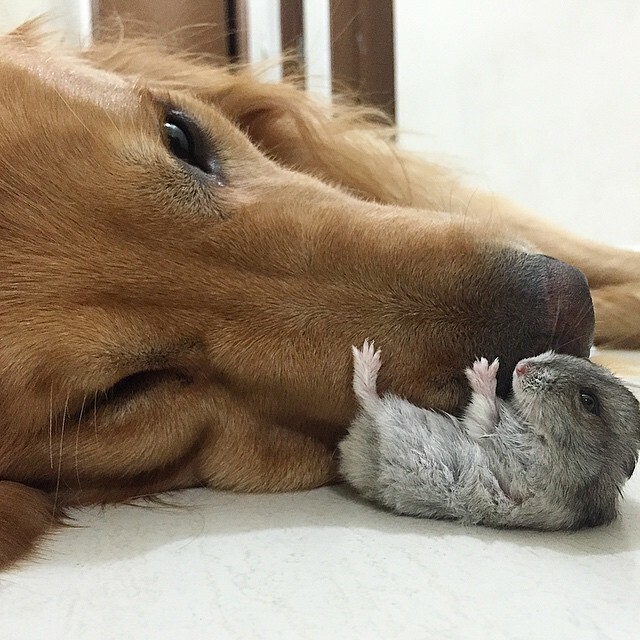 Responses to "A Dog, 8 Birds And A Hamster Are The Most Unusual Best Friends Ever "
This is waaaayyyy too cute!